SRINAGAR: National Conference president Dr Farooq Abdullah has said that the people of Kashmir will not be fazed by the threats of BJP-RSS on scrapping special status of the state. He stated that those who are saying Article 370 and Article 35-A are temporary are wittingly or un-wittingly affirming that the accession was also temporary. Addressing a public gathering at Madar-e-Maharban stadium in Ganderbal, Farooq said those who created the ruckus about the assertions of Omar Abdullah’s speech wherein he has sought the restoration of the status of the state on the original terms of accession are unqualified and untaught about the historical facts. “It was our party who after Maharaja Hari Singh executed accession with the union of India sought unimpeachable constitutional safe guards for our state under the Delhi agreement. 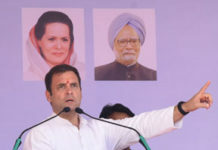 Our party has always sought restoration of the relation of our state with the union of India on the original terms of accession, which only gave three subjects of communication, defense and foreign affairs to the union, rest the Maharaja gave everything to the people of the state,” NC president said. 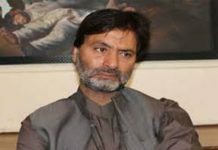 He added that however after the unconstitutional arrest of Sher-e-Kashmir the special status was dented to an extent that it remained a pale shadow of what Sheikh Sahib was able to achieve. “We will not be fazed or frightened by the threats of BJP-RSS. We will continue to seek our rights that were infringed upon,” he said. 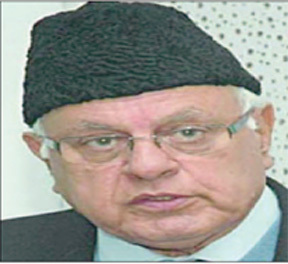 Farooq said NC after coming to power got the autonomy resolution passed in the assembly with 2/3 majority. “The resolution was heartily passed by the majority of assembly members belonging to different faiths and regions of the state. 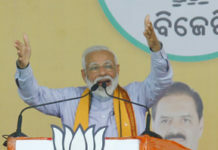 Former prime minister PV Narsimha Rao in a televised address at Burkina Faso had approved of having Sadr-e-Riyasat, and Wazir-e-Azam for the state of Jammu and Kashmir. He has on record said that as far as giving autonomy to the state of J&K is concerned, sky is the limit,” the former chief minister said.